The Poor Clare Nuns are a religious community of women begun eight hundred years ago when Clare Offreduccio, a young noble woman of Assisi, Italy, cast off her rich garments and donned the simple garb of St. Francis to live as he did the Holy Gospel of our Lord Jesus Christ. Long before this dramatic moment, Francis, while rebuilding the little church of San Damiano, exclaimed to those passing by, "Come and help me in building the monastery of San Damiano because ladies will dwell here who will glorify our heavenly Father throughout His Holy Church by their celebrated and holy manner of life." Qualifications: A candidate should be a practicing Catholic, that is, someone who attends Mass frequently and receives the sacraments on a regular basis. Also, someone who has been involved some way in her parish or local church and who has established a regular routine of personal prayer. Good physical and psychological health is a basic requirement and having a good sense of humor is an important quality in someone called to community life. A candidate should be debt-free and not be currently responsible for aging parents and/or dependent siblings. 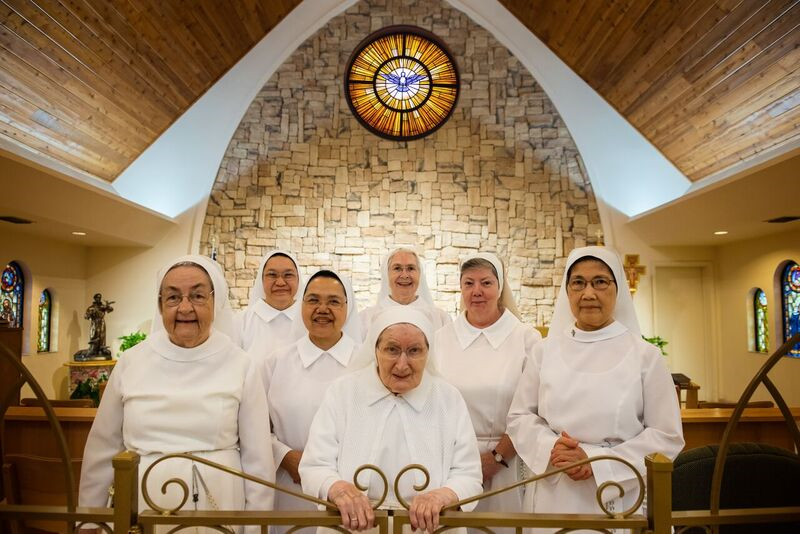 Formation: E-mail or mail correspondence/ interview at the monastery/ brief stay within the enclosure – 2-4 days/ longer visit inside the enclosure, preferably 1 month/ 1 yr. postulancy/2 yr. novitiate/3-6 years temporary vows. Belated vocations? We do not encourage belated vocations, but we have received some.